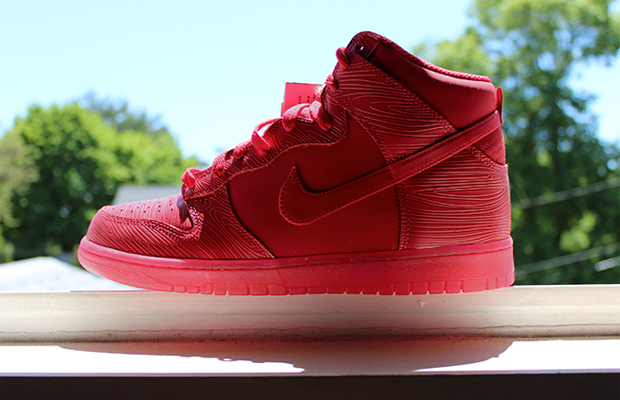 The all red wave hasn't died out just yet which is apparent once you look at these "Red Woodgrain" Nike Dunk High's. These are definetaly one of the best red based sneakers to come out in recent memory and don't be surprised to see the demand for these skyrocket especially since they are rumored to be a Japan release only. Stay tuned for an official release date as it becomes available.